MEADVILLE, Pa. (EYT) – A short film focusing on the plight of several horses that were severely neglected in Clarion County will be airing this spring in Meadville, Crawford County. The “Spotlight Rescue Series: The Hanging Barn” will appear during the Equus Film Festival’s Meadville Tour Stop on April 21-22. “The Hanging Barn,” one of several films scheduled to air that weekend, is about 11 horses that were left in horrid conditions in a barn in Strattanville in 2016. Six of the horses made it through the ordeal and are now healthy and happy; however, five of them had to be humanely euthanized. 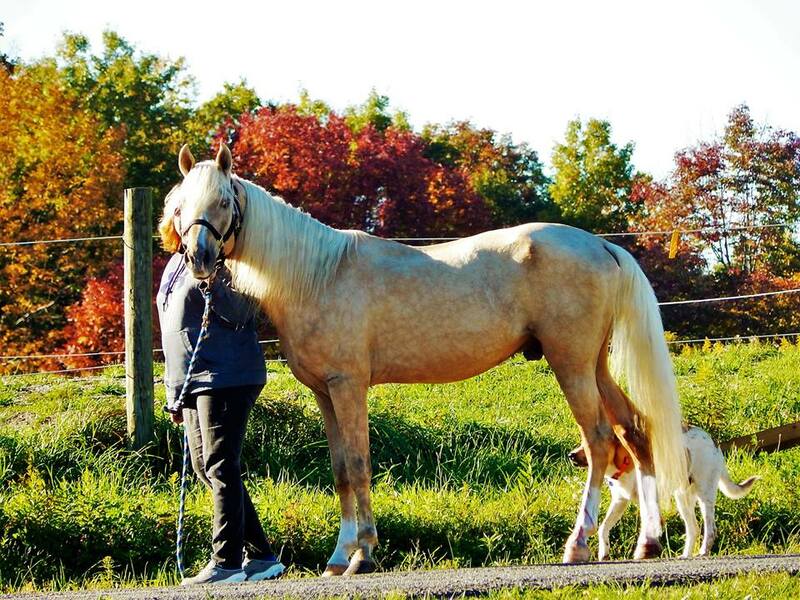 For Bev Dee, of Bright Futures Farm in Cochranton, it began in May 2016 when she received a call from the Clarion County Sheriff’s office asking for assistance with rescuing 11 horses from the Strattanville, Clarion Township property. The horses had been locked inside a dark barn and neglected for so long their hooves were over a foot long and curling like elves shoes, according to Dee. “Five were so severely neglected that there was no hope of saving them,” stated Dee. The horses lived in squalor for at least three years admitted their previous owner, a Corsica man. Dee had hoped to save all 11 horses but quickly realized five of them were too long gone to be rescued. Heather Reichel, owner of Reichel Films and Zeppelin Views, of Meadville, teamed up with Bright Futures Farm and JA Media Connections, of Camden, S.C., to create the documentary. “Spotlight Rescue Series: The Hanging Barn” was shot by Reichel and won two Winnie awards at the December 2017 Equus Film Festival in New York City. The film is also available on DVD. In addition, it is being produced as a feature-length film and will premiere in New York City in November 2018. The EQUUS festival, founded in 2013 by Lisa Diersen, showcases films, documentaries, short films, music videos, commercials, art, and literature that feature horses. “This is the hardest part of what we do. 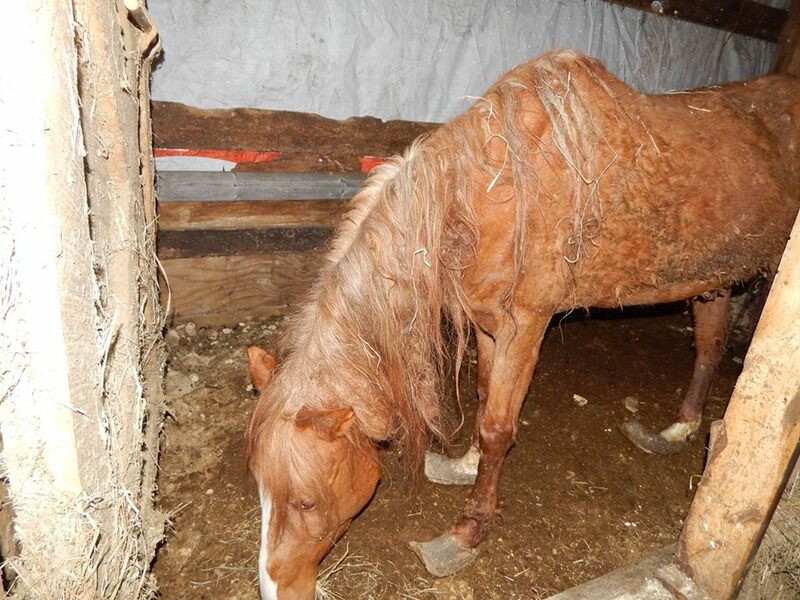 Eleven horses lived in squalor for at least three years. We found poor quality hay just two feet out of reach of some of them. They had no water,” explained Dee. In October 2016, Dee reported the six horses rescued were thriving due to a tremendous outpouring of support. The horses underwent multiple dental procedures and battled some serious ailments. “Tanner, the one who looked the most defeated when we arrived, battled a severe case of ulcers for four months,” Dee said. Tanner finally had his fourth – and last – gastroscopy by October 2017, according to Dee. The Corsica man pleaded guilty to five summary counts of animal cruelty before District Judge Duane L. Quinn on May 16, 2016, and was ordered to pay a $50.00 fine for each of the five horses that were euthanized. Tickets are available at the door or at EquusFilmFestival.net. For more information on sponsorship, contact Reichel at hreichel@windstream.net or 814-282-2081.